My name is Shawn and I am a son of this parish. I am 27 years of age. I was baptized as an infant and was brought up in a very loving Catholic environment. I would like to begin my testimony with a little background about how I even came into being. My life is literally a gift from God to my parents. My mother had problems conceiving a child for 3 years since her marriage in 1986. In 1989, she heard about a pilgrimage to Medjugorje from her siblings and decided to make this trip with the intention of praying for a child. She arrived in Medjugorje on 28th May 1989 after a 47 hours delay in Dubai due to her plane having engine problems. Sometime during her trip, her pilgrimage group was brought to a church where a praying over session was conducted through the intercession of Mother Mary by a Priest named Fr Jozo. When my mother went up to be prayed over, he laid his hands over her stomach instead of on her forehead. A year later, I was born exactly on the same date of my mother’s arrival in Medjugorje; 28th May 1990. For the first 14 years of my life, I only prayed through the intercession of Mother Mary. I believe that my mother’s pilgrimage to Medjugorje was the reason why I had such a strong devotion to Our Lady since young. Before I encountered Christ personally, my prayer life was focused more on making requests and it was very often devotional in nature. From the age of 8 years old, I was serving as an Altar Server but it was done out of a routine or without much understanding. 14 years of age was when I encountered Christ personally. I believe that it was Mary who led me to know her son Jesus personally through friends who played an instrumental role. At that age, I was encouraged by friends to spend time in adoration of Jesus and to speak with Him as how I would speak to a friend. My friends also introduced me to the Divine Office and I began going for weekly confession, regular Mass and spiritual direction. Through weekly Sacrament of Reconciliations and monthly Spiritual Directions, I encountered the love and mercy of Christ and that personal encounter of Jesus motivated me to spend even greater amounts of time in prayer. My faith in the Lord grew and I became more passionate to serve the Lord. I thus became more involved in the parish as an Altar Server, Catechist, RCIA/RCIY facilitator and Sacristan. I also found myself attending the Life in the Spirit Seminar, helping out in retreats and camps for the youths, going for mission trips and accompanying the priests of my parish on their pastoral visits to the sick and dying. I began regularly attending vocation discernment retreats at the Archdiocesan Major Seminary in Singapore from 14 years till 22 years of age too. Through my personal encounter of Christ, I began to recognize the presence of Christ in my everyday situations. While working at the airport as a Customer Service Agent for Singapore Airlines, I used to recognise Christ in the many people that I served each day. Whether it was a positive or negative situation that the people I encountered were in, I was always able to serve them with patience and understanding for it was Christ whom I saw in them. What joy filled my heart each and every day while I was at work! However, although I enjoyed my work, the joy that I felt was incomplete. I knew that God was calling me to respond to Him in a radical way! In 2012, I attended the 5 month School of Mission organized by the Institute for World Evangelisation- ICPE Mission, in Wellington, New Zealand. It was at the School of Mission that I encountered the genuine love of a Christian community which was extremely life giving. I was helped to recognize the immense value that I had as a child of God and made to realise the importance of evangelization. I felt attracted to the spirituality of the Institute for World Evangelisation – ICPE Mission with its call to know Christ and to make Him known all around the world! Upon my return from the School of Mission, I responded to God’s call for me to enter the Archdiocesan Seminary in Singapore. 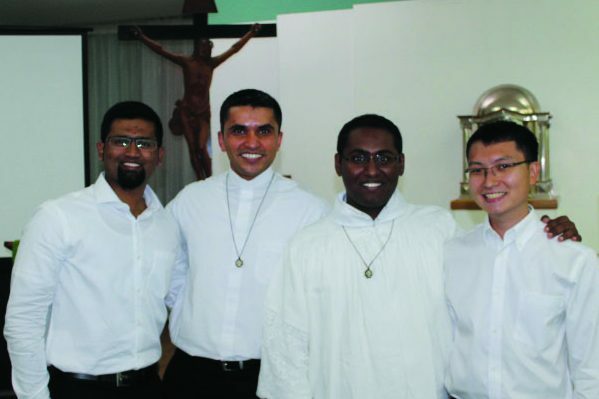 I underwent 2 years and 3 months of formation from January 2013 to March 2015 before God led me out of the Singapore Seminary to join the ICPE Mission’s Priestly formation programme in Malta at the end of September 2016. I am currently about to complete my first year of formation and will be beginning my second year which consists of Philosophy and Theology studies at the University of Malta from October 2017 onwards. I humbly ask for your prayers as I continue in my formation towards the priesthood. 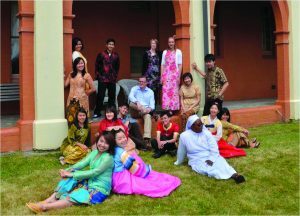 If you wish to know more about ICPE Mission, please visit our website at www.icpe.org. To all young men and women who are considering the call to the priesthood and religious life, do not be afraid to respond for it is when you trust in God and surrender your lives completely to Him that he will truly fill you with His immense joy and love! You will indeed experience a peace and freedom which the world can never give!